We are offering a wide range of labelling printer for online for online coding/marking on labels on sticker labelling to our clients in a reasonable prices. We are a market leader Since 1991 n the field of Stamping / Coding / Secondary Packaging (statutory information such as Batch No., Mfd, Exp Date, Mrp Rs., etc) and all manufactured ink products of ours food grade quality and non-toxic and are made to strict standards. We are one of the largest Manufacturer of secondary packaging consumables to the Dairy and Food industry. We deals in presenting forth a wide range of Label Printer. These printers are known for their trouble free functioning and are also known as sparsh coder and touch coders. 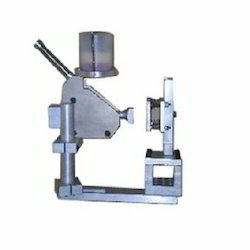 Mounted on sticker labeling machines, these are used fr making marks on sticker labels. We deal in Coders (High Speed Online Pneumatic Over Printers). Coding systems, date-marking machines, pneumatic coders, price markers, online rotary stamping machines, coding inks and ink rollers etc. As you might be aware that we are one of the market leaders in coding/ marking inks, secondary packaging machines, batch-printing systems and contact coder machines for marking of statutory/ variable information on packaged goods such as batch no., date of mfg., expiry date, lot no., pkd no., m.r.p., etc. We are supplying our extensive range of secondary packaging, coding and marking products to various industries like dairy, biscuits, spices, bakery, agro-foods, various food and beverages industries, bulk packaging, cosmetics, fmcg and scores of other industries. pic is proud to obtain the iso 9001:2000 certification for aiming at achieving the highest position in the coding/marking field, and is supplying to over 650 clients all over India through our dealer network or directly and also exporting to over a dozen destinations all over the world. Coding ink, marking system, batch-printing system, anti-freeze inks, porous ink, contact coders, handy coders, inking cartridges, pharma rollers, hot-ink rollers, batch-printing inks and machines, stamping inks, stampers/coders, manual coding machine, online coding system. We can definitely offer you the best prices for various products as we are the largest producer of contact coding inks and systems in India. This is PIC innovative label coder printer for online coding/marking on labels on Sticker Labelling Machine. It is an intermittent printer with speeds of upto 200 impressions per minute and is very easy to operate. 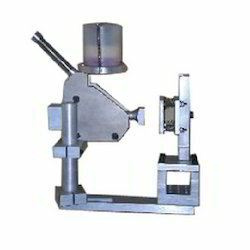 Other types of Batch coding machine of PIC is suitable for marking information on packaged products. We are the India's market leaders (The largest and the Oldest) in the field of coding/marking inks, secondary packaging machines, batch-printing systems and contact coder machines for marking of statutory/variable information on packaged goods such as BATCH NO., DATE OF MFG., EXPIRY DATE, LOT NO., PKD NO., M.R.P., etc. We are supplying our extensive range of secondary packaging, coding and marking products to various industries like Dairy, Biscuits, Spices, Bakery, Agro-foods, various Food and Beverages industries, Bulk Packaging, Cosmetics, FMCG and scores of other industries. Looking for Labelling Printer and Touch Coder ?